Canadian indie rock collective Broken Social Scene are about to become the latest band to record a live album for Jack White's label Third Man Records. BSS just announced that they are going to be playing a show at Third Man's facility in Nashville, TN, and it will be recorded for a vinyl release. The show takes place a week from today, on June 11, in the Blue Room at Third Man HQ, in the wake of the band's performance at Bonnaroo. Tickets are on sale here for $20 USD. That's the concert poster for the gig up above. 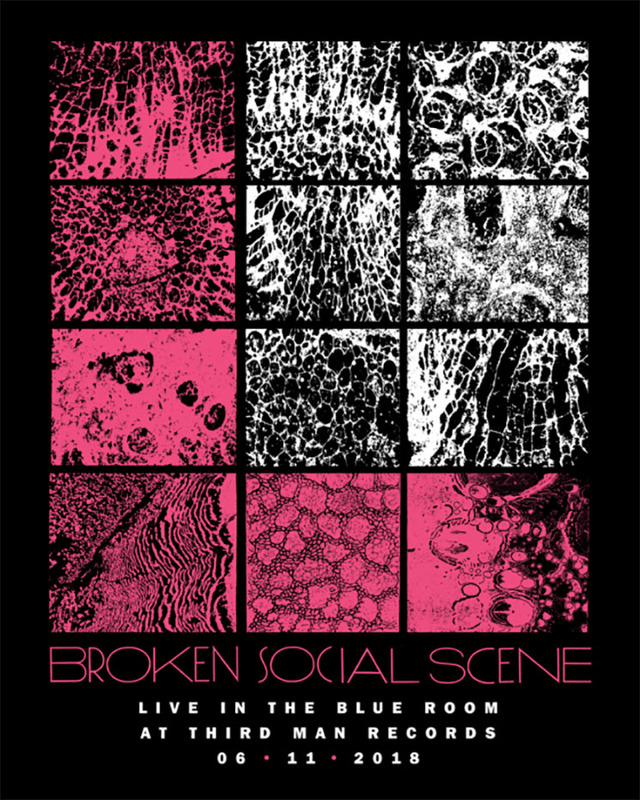 Broken Social Scene announced the news on Twitter, revealing that the show will be recorded and mixed in real time, and then pressed on the spot via Third Man's direct-to-acetate method. Neither the band nor the label has revealed plans for how the resulting live recording will be released, but given that many of Third Man's past direct-to-acetate recordings are available online and in shops, it seems fairly likely that this record will get a similarly wide release.